Threats to your supply chain and therefore to your organization abound – their likelihood and consequences heightened by long, global supply chains, ever-shrinking product cycles, and volatile and unpredictable market cycles. Supply chains are increasingly at risk of disruption. 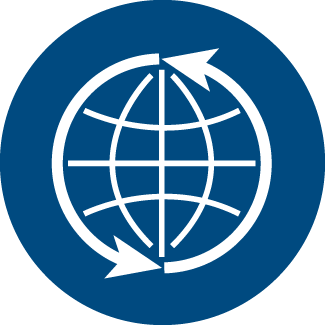 It is important for organizations to implement a process for supply chain continuity, manage supply chain risk, and ensure supply chain security. 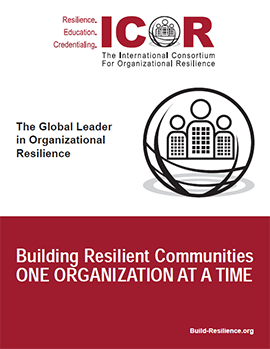 This discipline focuses on how to increase the resilience of an organization’s supply chain. Audience: Those personnel who manage the continuity, risk, and security of the supply chain including procurement professionals. Description: Ensuring a Resilient Supply Chain reviews the requirements of ISO 31000: Risk Management – Principles and Guidelines, ISO 22318: Supply Chain Continuity, and ISO 28000: Supply Chain Security Management Systems. In addition, it highlights how traditional supply chain management decisions are made. Applying credit to another ICOR offering. Note: ICOR only ships course materials to North America. If the student does not attend as registered, no refund will be provided.